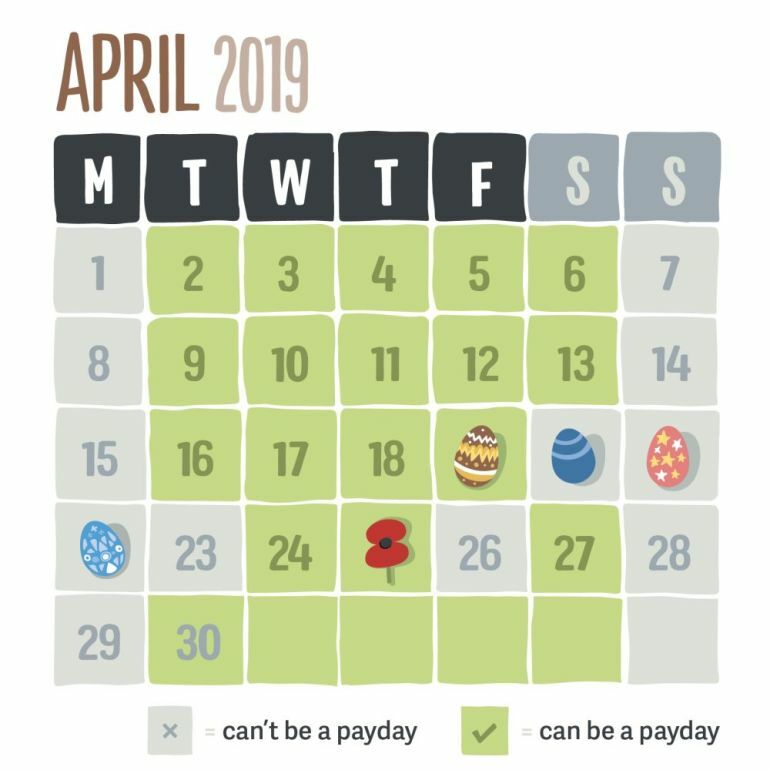 April is going to be a big month for public holidays, which means your paydays and pay processing times may be affected by the bank holidays. Because we process pays the night before the payday, we can still put pays in bank accounts on some public holidays as long as the day before is a normal business day. If your normal payday falls on one of those days, it will automatically be bumped into the future to the next possible payday. For example, if your payday was supposed to be Saturday the 20th, it will be bumped to Wednesday the 24th. You can manually change the payday to be earlier if this is better for your employees by using the change icon on the pay. Don't worry, we're here to help! Email help@thankyoupayroll.co.nz or call us at 0800 895 146 to ask more details. Enjoy the break!